The best luggage for families is practical and caters for the needs of all family members. Family vacations can be demanding, especially if travelling with young or many children. The right family luggage is lightweight but durable, easy to maneuver and gives you the necessary flexibility needed when travelling with your family. There are number of things to have in mind when choosing the best luggage for families but practicality is at the top of the list. Luggage sets are ideal luggage for families as they offer different packing options to fit different travel needs and situations. Luggage sets are not only practical choice. They are also good value for money. The price of luggage sets tends to be substantially less than if you bought all the luggage pieces separately. 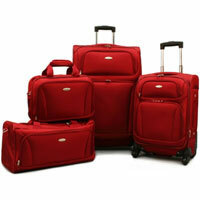 Luggage sets come in different sizes and price ranges. The most common luggage sets come in 3 or 5 pieces, but you can also get 2, 4, 6, 7 or 8 pieces. Children don't travel light and the younger they are, the more you need to pack. In addition to holiday clothes, you need to pack the specialized gear they need, like stroller, car seat, baby food and appropriate utensils, nappies, toys and entertainment, etc. Older children normally travel lighter than younger children do. However, it is not hard to exceed the luggage allowance for them if not careful when packing. This is especially true when travelling with teenagers. They tend to be fashion concerned as well as heavy gadget users. Vacation packing lists are very useful when travelling with children. They help you to remember all those must bring items and remind you of those nice to have. Many families choose to involve their children in the travel preparation and it usually includes letting them choose what to pack for their vacation. Some even give them their own bag to pack. If you do so, you should give them some basic rules so they do not end up packing 10 shoes but no pants. Our family vacation packing lists will help them to pack the right things. Many families allow each family member to pack their personal belongings in their own carry-on bag but use check-in suitcases for the bulky items and shared belonging. There is a good argument for involving your children in the travel preparation and packing. It gives them some ownership of the travel plan, which means they are less likely to find faults with it when you have arrived at your destination. It also teaches them valuable organizational skills that will benefit them in the future. 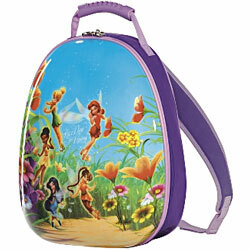 Check B for Bag range of quality children luggage. Finding the right family luggage has never been easier. The internet allows you to browse through wide range of options in the comfort of your own home. Actually, the sheer volume of luggage for families on offer can be daunting. Defining in advance, which features are most important to you and your family can be useful and save you time. For example, do you prefer wheeled or non-wheeled luggage, or maybe even spinner luggage? Do you want soft or hard case bag? Do you want easily recognisable luggage? Is the brand important to you and if so, define which brands you want to consider. And don't forget to define the price range. Luggage for families not only comes in all shapes and sizes, it also comes in all prices. You can spend very little or very much on a similar shaped and sized piece of luggage. Spending time on defining what you want will help you to find the right luggage for your family. Preparing for a family vacation can be hectic experience. There are so many things to remember. There are flights to be booked, passports to be checked, vaccinations to be arranged, foreign currency to be bought, clothes to be washed, travel itinerary to be decided, bags to be packed... the list may seem endless. 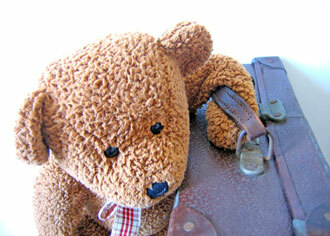 Top Travel Tips offers practical travel advice for families. Check out the Top 10 Family Travel Tips For The Perfect Family Getaway before jetting off.